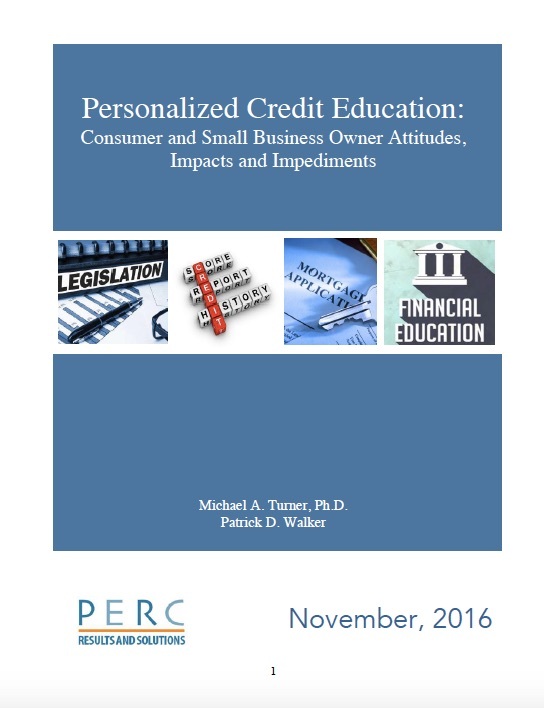 This study is the final report on research that examines resulting credit score changes and consumer attitudes following the use of personalized credit education sessions by study participants. The credit education service examined is offered by a national credit bureau. Such services (offered by for-profit non-lender/non-creditor entities) are covered and inhibited by CROA. Authors: Michael A. Turner, Ph.D., Patrick Walker, M.A.